In a small space, every inch counts. Small rooms can often feel cramped and confining. So how do you make the most of out of a small room? Read on to learn a few design tips and tricks that fool the eye and make interiors seem much more spacious than they really are. An uncluttered home seems much bigger than one with items piled up all over the place. Proper storage will not only help to keep your home uncluttered, but it can also improve the functionality of your spaces. Built-in furniture can often look smaller than free-standing furniture because of its ability to blend into the room and decor. Consider adding a built-in media unit or shelving to your home to maximize space. Bonus: add built-in lighting to take your design to the next level. To maximize your results, paint your wall trim a lighter color than your walls. This will make the walls appear farther back, tricking the eye into thinking the room is larger. Stand tall. Tall mirrors draw the eye upward and instantly add space and length to any room. Highlight the hallway. A quick and easy way bring in light and space into a normally dim and narrow part of a house. Group them together. Hanging multiple mirrors together will reflect light in multiple directions, making the room feel brighter and bigger. Illuminate your dining room. This will allow you to use softer lighting, while still keeping your eating area light and bright. 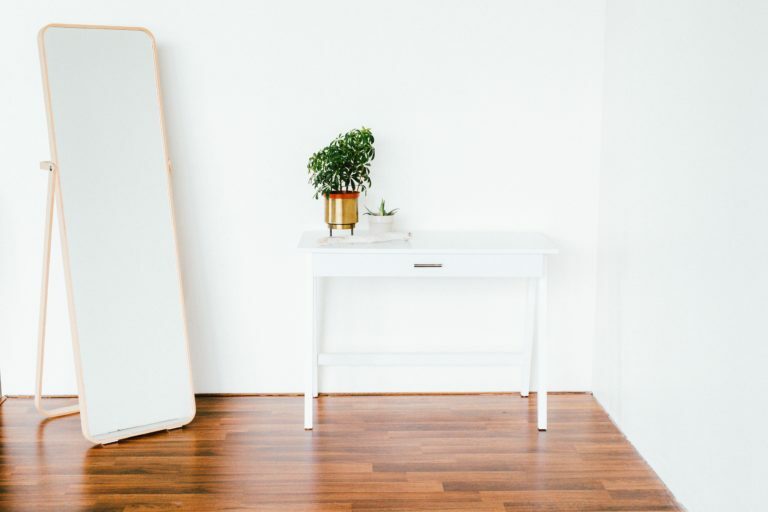 The sky’s the limit when it comes to the ways you can integrate mirrors in your home. This is your chance to get creative! If you’re looking for some help taking your space from small to spacious, give the team at Parabola Developments a call today.